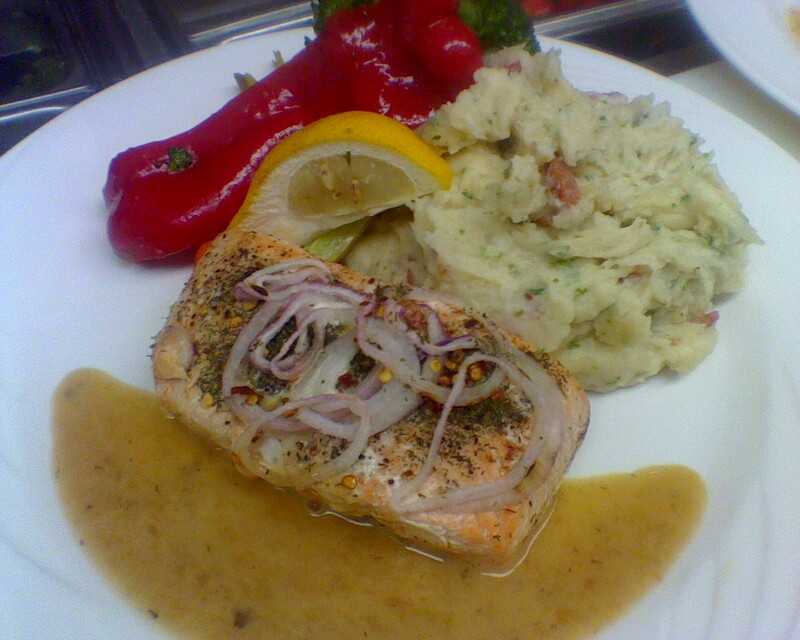 Four Points By Sheraton Dinner Special For This Week: Lemon And Lime Salmon, Our 7oz Salmon filet baked in the oven with dill, chili flakes and red onions, served medium well On a bed of a rich and savoury roasted lemon and lime sauce. Accompanied with roasted fennel, chorizo sausage and fresh cracked peppercorn mashed potatoes. Chef's choice of vegetables. Soup or house salad to start, a slice of raspberry cheesecake for dessert.